Decorative bookmark with floral motifs made of a beautiful polymer clay bead made by me, in shades of pink, Burgundy, beige and grey adorned with green rhinestones and metallic elements encrusted in the dough. 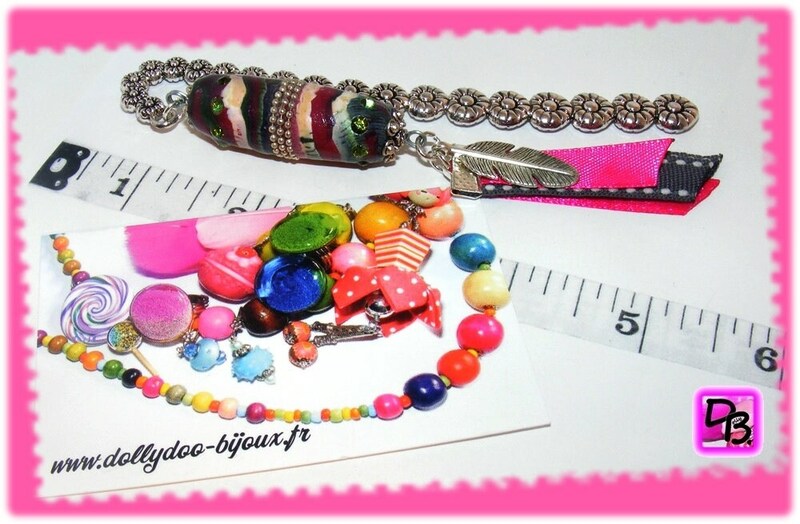 This bead is accompanied by a small metal feather and pink and grey ribbons. Ideal gift for young or less young readers who love originality. All metal parts of this item are nickel free, lead, mercury, cadmium or chrome - standard European RoHs. My label SRAJD No. 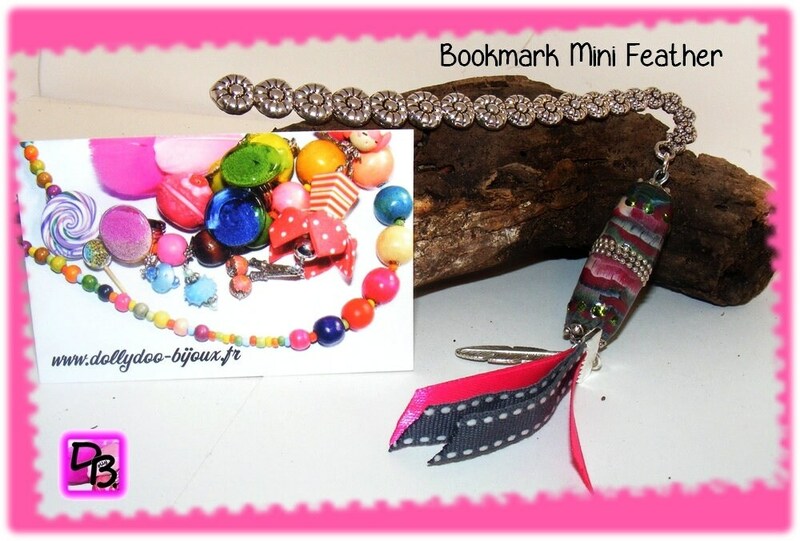 3784 (Self Representing Artist Jewelry designer) brings you guarantee that this bookmark is unique, thought and made by me as all my creations.